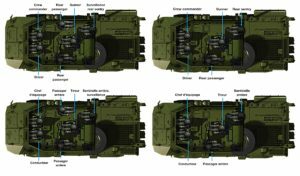 The Canadian Army has received the first six tactical armoured patrol vehicle (TAPV) from Textron Systems Canada, as part of efforts by the government to ensure the country’s soldiers have the right equipment to succeed at operations. In June 2012, the Canadian Government selected Textron Systems Canada as the prime contractor for the $603.4m worth TAPV programme. Along with Rheinmetall Canada, Textron will manufacture and supply a total of 500 vehicles, with an option for up to 100 additional vehicles.Final delivery is expected in December 2017. The 5th Canadian Division Support Base (5 CDSB) in CFB Gagetown, was the first to take delivery of the first batch of 500 TAPVs. Completion of the order was originally set for 2014, but some schedule delays set back the delivery date by two years. The 4X4 wheeled TAPVs will replace the RG-31 Nyala multi-purpose, mine-resistant infantry vehicle and the Coyote armoured, reconnaissance vehicle. The TAPV is based on Textron Systems’ Commando series of vehicles, specifically the Commando Elite. The fleet will be distributed across seven bases and 24 units. The 5 CDSB is scheduled to receive 89 TAPVs in the August-October 2016 time frame. This will be followed by the delivery of 133 vehicles to the 2nd Division in Valcartier and subsequent deliveries to Borden (2), Montreal (25), Edmonton (108), Gagetown (27) again and finally to the 4th Division in Petawawa (126) between October 2016 and December 2017. 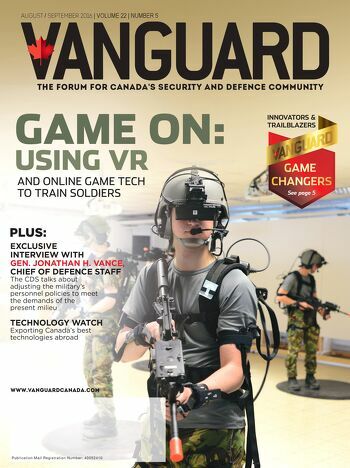 Col. Jayne is confident the TAPVs will perform well in combat missions overseas, especially in areas where Canadian soldiers and vehicles are exposed improvised explosive devices (IEDs), explosively-formed projectiles, and anti-armour weapons. The design of the vehicle is aimed at shielding troops from ballistics and roadside blasts while providing large power reserves for future electronics enhancements. It has an ergonomically designed interior for optimum comfort and payload. The TAPV relies upon composite armour to provide the maximum protection to the vehicle’s occupants. The TAPV also has a V-shaped hull, which provides protection against mine and IED blasts. The vehicle also has a high ground clearance, which increases protection from mine and IED blasts. It can withstand up to 10 kg of explosive force directly under its hull, and can resist even 12.7 mm armour-piercing rounds. The remote weapons station comes equipped with both a 40-mm automatic grenade launcher and a c6 flex machine gun. 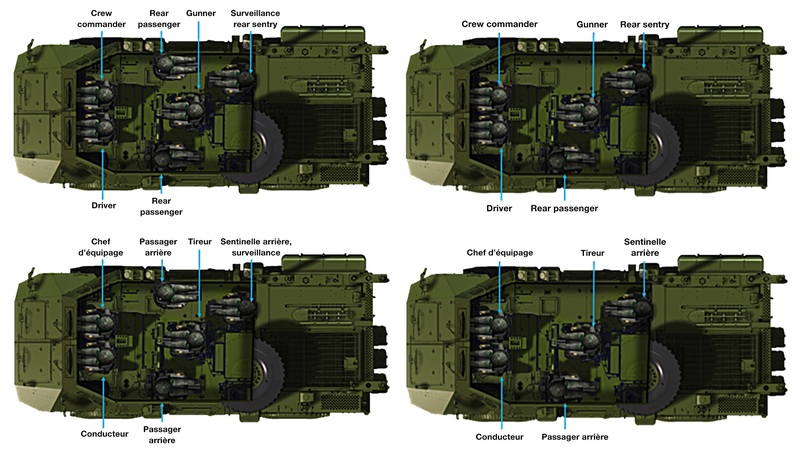 The system allows gunners to aim and fire the weapons from the protection of the vehicle’s armoured interior. Weighing in at just below 18,597 kilograms, and equipped with a 4X4 suspension, the TAPV is designed to effectively travel long distances on both roads and cross-country terrain. The TAPV is powered by a Cummins QSL diesel engine, which provides 365 horsepower (272 kW), allowing the vehicle a maximum speed of 105 km/h, and a maximum range of 644 km. The vehicle utilizes an independent suspension axle system originally developed by Irish Timoney, and it has a central tire inflation system to prevent flat tires during combat operations. Four TAPVs can be transported simultaneously by a CC-177 Globemaster III. The TAPV fleet will be the first CA vehicle fleet to have a Health and Usage Monitoring System (HUMS). This HUMS includes sensors throughout the vehicle that record key data and provide information to assist with maintenance and fleet management. 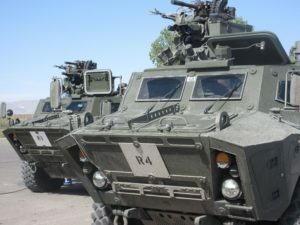 The CAF will perform first- and second-line maintenance as on the vehicle, but the TAPV fleet will be largely supported by the contractor, Textron Systems, along with their subcontractor Rheinmetall Canada. Does the Oshkosh L-ATV have a place in the Canadian Army?